Could an American president be arrested for war crimes? Former West Wing presidential advisor and author, Joseph Aragon, poses a nightmare scenario in a gripping narration by award-winning Ben Werling. When a U.S. missile intended for a major terrorist tragically kills a group of French schoolchildren in Islamabad, the citizens of France erupt in outrage. The American Embassy in Paris is burned to the ground. President Childs flies to Paris to meet with French president Jardin to defuse matters but a powerful French magistrate orders the president's arrest for war crimes. A deadly confrontation explodes on the Champs-Élysées as U.S. and French Secret Service personnel try to repel a bloody assault by rogue French Special Forces. In the bloody firefight the president goes missing and the White House and the Élysée palace are thrown into panic as France and the U.S. reach the breaking point and DEFCON levels rise worldwide. To save the president from certain death Isabella "Izzy" Stone, head of the president's Secret Service detail, jumps into action. She brilliantly devises a dizzying escape through Paris's secret underground network of ancient catacombs, sewers and the great Louvre. Mortal danger and violence forge a bond between Izzy Stone and the president that neither had ever expected. Could an American president be arrested for war crimes? The Paris Plot lays out a plausible chain of events grounded in international human rights law and the immense power of the judiciary. "We've seen things recently come to pass that were once considered to be in the realm of political fantasy," says Aragon. "But we are living in an extraordinary, fast-moving and perilous time. Expect the unexpected." 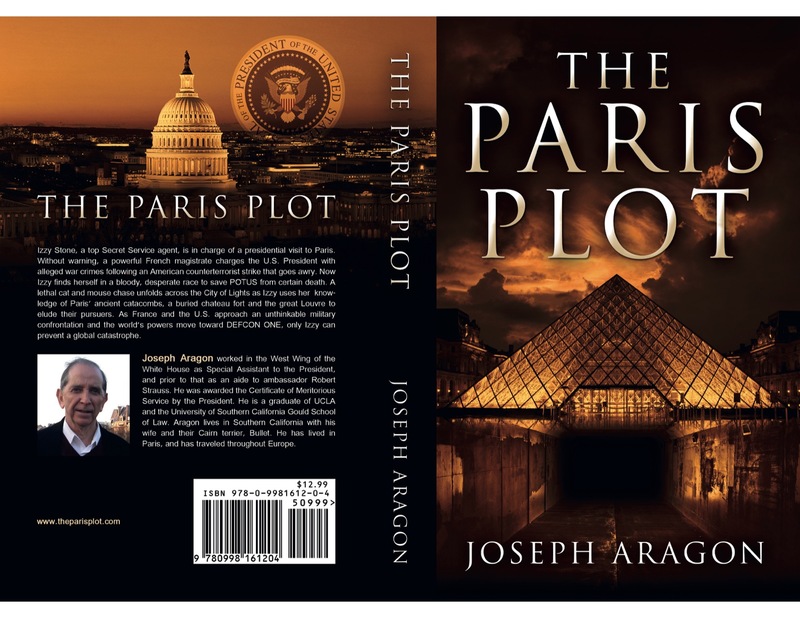 Amazon reviewers have given THE PARIS PLOT 100% five star reviews with comments like: "Nonstop action, breathless suspense,"...."The plot is incredibly timely," "Should be immediately made into a movie,"...."A spine tingling political suspense thriller,"...."I listened to the audio book and Ben Werling is equal to the task of bringing this fast-paced tale to life."